It was 1812 when Friedrich Kuhlau published probably the first Left Hand Alone work for piano: a second movement for a sonata. However, it is in the last 100 years that the left hand repertoire could really expand and be explored as a tool for technical and musical improvement. In 2000, when I was still a student, I was first exposed to Left Hand Alone repertoire (as with most pianists) with Scriabin’s famous Nocturne Op. 9 No. 2 for the Left Hand Alone. 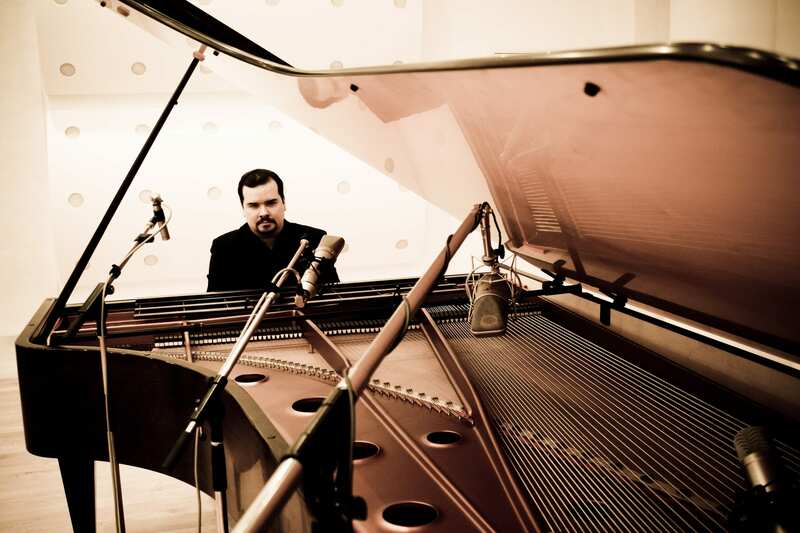 Such music became extremely attractive not only by the beautiful harmonic language, but also by the challenges presented in this pearl of the piano literature. At this time in my life Scriabin’s music was my favourite, it was however, almost impossible to source the music in my home country of Brazil. Not much later, I first heard about a Hungarian Count called Geza Zichy who lost his right hand in a hunt when only 14 years old. He later became a professional pianist and remarkably a pupil of Franz Liszt – Liszt presented Zichy to Wagner and referred to Zichy as one of his best friends! Their friendship resulted in several three hand improvisations and soirées as they played together at different opportunities. I was amazed to discover Zichy’s transcription for the left hand of Schubert’s Lied “Die Erlkönig” – a piece known as terribly difficult for pianists because of its repeated octaves in a galloping style, as suggested by Goethe’s homonym tragic poem. Zichy’s transcription impressed Liszt himself, who played the same song in a transcription for two hands. 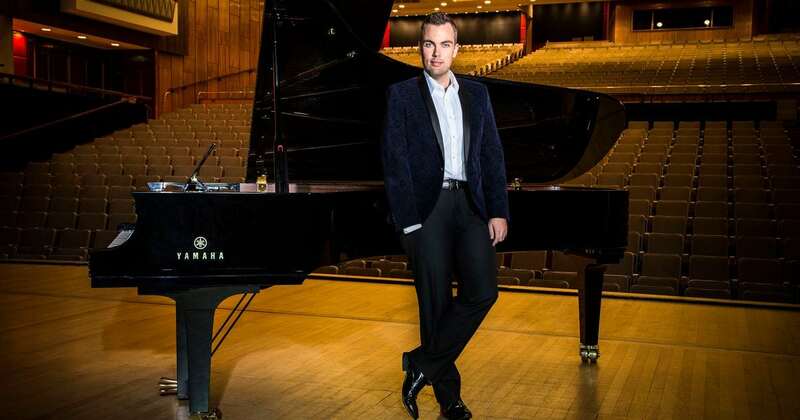 Once I received the score for the first time it was like revealing a new path in front of my very eyes – it was necessary to be more than a pianist, a virtuoso, an “Überpianist”. As a composer and transcriber myself, I wanted to deal with language explorations at some point – the idea of doing more with less, using only five fingers. It is interesting to mention that Liszt wrote his only left hand piece especially for Zichy, and he even transcribed for both hands Zichy’s original left hand composition “Valse d’Adele”. Not much later, I found the music of Leopold Godowsky. This Polish-born composer developed the left hand technique to a greater extent virtuosic level and did so in a refined writing style. The fact is that hardly anyone has gone beyond researching the left hand repertoire as thoroughly as Godowsky, however if you do it will only be a matter of time until you notice how impressive and beautiful the art of left hand playing can be and how many genial unknown composers there are. New names appeared in front of me as if all the standard knowledge was nothing but an abstract of the reality of piano history. The Italian Adolfo Fumagalli had his left handed “challenge” to Liszt with a very difficult paraphrase on themes from the opera “Robert le diable” (which once was a theme in a known paraphrase by Liszt received with ovation by the public); then there are lesser known works like Dreyshock’s Variations Op.22 (with Dreyshock mostly remembered by his left hand “stunt”, the legendary playing of Chopin’s Revolutionary Etude in octaves). Isidor Philipp, Emile Blanchet, Alexander Michalowski, Jozef Wieniawski; even Brahms made a left hand version of Bach’s Chaconne and offered it to Clara Schumann who couldn’t play with her right hand for a while. She later mentioned in a letter to Brahms she had much pleasure working on such an arrangement. When we research the classical repertoire we can easily notice the use of the left hand is often less demanding than the right hand with rare exceptions. 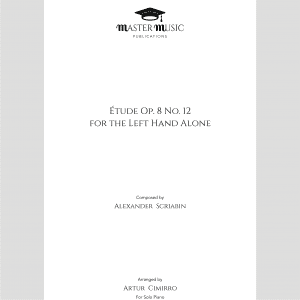 So, exploring the left hand opened new possibilities and developments for the composers, but not only this – the left hand can offer mechanics which make a larger pallete of combinations than the right hand! 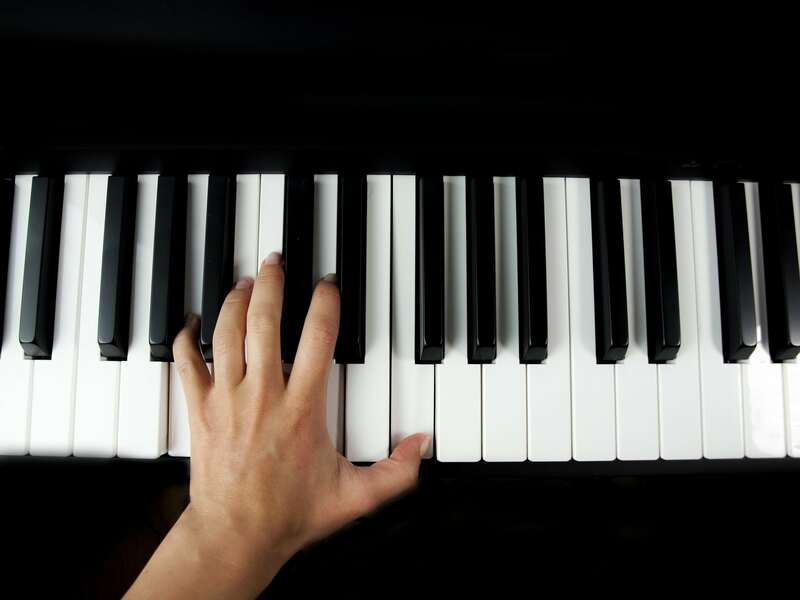 That is because of the relations of our fingers, the thumb being easily responsible for a melody while the other fingers can be focused on harmonic textures. Of course, this is not a rule as it may sound but once the left hand thumb is on a higher register it makes it easier to present a theme with a distinction of melody and harmony, while on the right hand the thumb is in lower registers in relation with other fingers and the harmony could easily sound thin or superficial. The fact is that we have “mirrored hands”, and some different solutions for such problems in the study were presented over the times past. Josef Wieniawski planned a piano where the keys were disposed in an inverse order – the high registers on the left and low registers on the right – that means we would need to make a symmetrical inversion of our playing win order to make it sound correct in such a piano. Wieniawski rewrote in symmetrical inversion Chopin Etude Op. 25 No. 11, in which a standard piano work sounds quite interesting. The symmetrical inversion became an explored tool of several composers (including Tausig, Busoni, Tagliapietra, Whürer, etc.) despite the planned piano never found a real market for the future. After the First World War, the pianist Paul Wittgenstein, brother of the philosopher Ludwig Wittgenstein, commissioned several new works for the left hand (as he lost his right arm during the war) and this was probably one of the most important moments for the exploration of left hand possibilities with new musical languages. The concertos by Maurice Ravel and Sergei Prokofiev (Concerto No. 4) are examples of such different compositional approaches, yet the technique was not surpassed or over-developed. Felix Blumenfeld’s Etude Op. 36 for the left hand is another example of a very effective left hand writing as it is the Bartok’s early sonata movement, now known as “Etude”. Now we have around 200 years of left hand playing, and this art is still cultivated despite of the small knowledge around it. We have active transcribers with great quality like Raoul Sosa and his left hand versions of Ravel’s ‘La Valse’ and Bach’s ‘Chromatic Fantasy’, the French pianist and composer Maxime Zecchini, who made a wonderful left hand solo version of Ravel’s ‘Concerto’ (including the orchestral part in left hand) and a beautiful composition called ‘Nouli’. 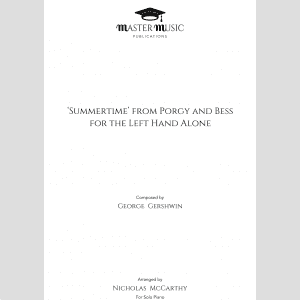 Then there is Nicholas McCarthy who was the first left handed pianist to graduate at London’s Royal College of Music and who is a huge promise for the future development of new repertoire for the left hand (and I must say I am very happy to have dedicated to him a special left hand version of Liszt’s ‘Mephisto Waltz’, the famous the famous song by Sam Smith’s “Writings on the wall” and Rachmaninov’s Prelude Op. 23 No. 5 – which was originally transcribed to present solutions for its middle section in order to help McCarthy in his own left hand version). Finally, my own interest in Left Hand Alone playing has lead me to working on the development of new standards, this includes my own Left Hand Alone arrangements of all 12 Transcendental Etudes by Franz Liszt and several tour de force of the piano repertoire transcribed for 5 fingers. Composing original works for the left hand has been attractive but also time consuming completing my own left hand piano sonata (around 17 years since my first sketch!). Despite the huge number of pieces presented in the superb left hand catalog built over the years by one of the greatest experts Dr.Brofeldt (freely available at here), few of these works became known or were even heard once. The left hand collection by Zecchini, McCarthy, and my own complete recordings of Geza Zichy works are probably between the most expressive recorded contributions of the recent left hand history. There remains a huge new world of left hand yet to discover.